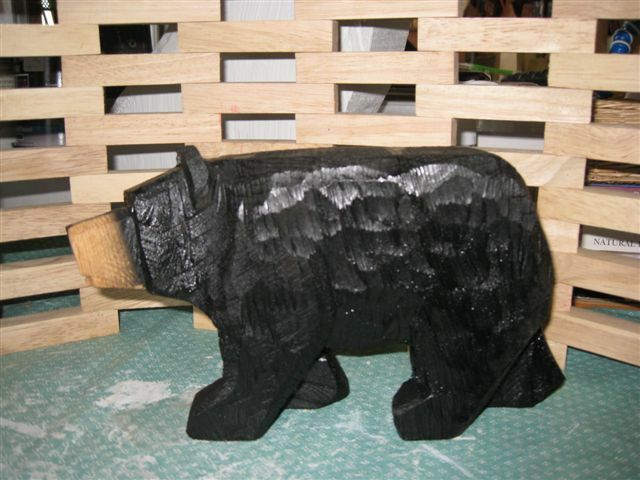 The Walking Bear is one of our most difficult carvings to create. Each of its legs is in a different position. To accomplish this, we first begin by rough carving eight legs & then remove four leaving the remaining ones each in a different position. The bear’s head is also slightly tipped & turned to one side adding another level of difficulty to the carving process. The Rainbow Trout pegged leash, fishing pole or hat holder is chainsaw carved & hand painted. The tail fin curves forward. The back of the carving is flat and unfinished for ease of mounting. Shown here holding two puppy collars. Dimensions: apx 15″ x 6″ x 5″. $44.85, includes Priority shipping. The magestic giant of Idaho’s forests, the Moose is poetry whether in motion or standing still like our carving! The antlers are the natural color of the pine wood while the body is painted. Dimensions: apx 9″ x 10″ x 2.5″ $49, includes Prioirity shipping. Summary of previous gallery glimpses: all are still available for purchase. 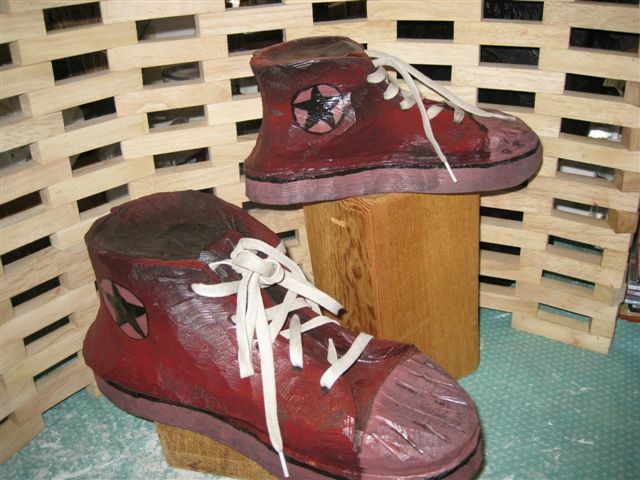 Thank you for posting your piece, I found your blog on yahoo. I enjoyed reading your article and found if very interesting. My wife and I are looking forward in finding and reading more of these type of pieces.